Conquering the Evil With The Good. We are in the last days. We know evil abounds. We are told in Romans to conquer the evil with the good but how can we do that? (Romans 12:21) 21 Do not let yourself be conquered by the evil, but keep conquering the evil with the good. The previous scriptures in Romans 12 gives us a guide on how to overcome the evil with the good it stresses the importance of treating other good even if they are our enemy. (Romans 12:17-20) 17Return evil for evil to no one. Provide fine things in the sight of all men. 18 If possible, as far as it depends upon YOU, be peaceable with all men. 19 Do not avenge yourselves, beloved, but yield place to the wrath; for it is written: “Vengeance is mine; I will repay, says Jehovah.” 20 But, “if your enemy is hungry, feed him; if he is thirsty, give him something to drink; for by doing this you will heap fiery coals upon his head. It can be difficult at times. It seems that those doing bad go unpunished. (Ecclesiastes 8:11-13) 11 Because sentence against a bad work has not been executed speedily, that is why the heart of the sons of men has become fully set in them to do bad. 12 Although a sinner may be doing bad a hundred times and continuing a long time as he pleases, yet I am also aware that it will turn out well with those fearing the [true] God, because they were in fear of him. 13 But it will not turn out well at all with the wicked one, neither will he prolong his days that are like a shadow, because he is not in fear of God. We need to keep in mind God is the judge and he desires no one to be destroy so he is very patient. We need to learn to be patient also. If we return evil to them we become just like them and Satan has won because he has made us no different then the world. (Romans 2:3-11) 3 But do you have this idea, O man, while you judge those who practice such things and yet you do them, that you will escape the judgment of God? 4 Or do you despise the riches of his kindness and forbearance and long-suffering, because you do not know that the kindly [quality] of God is trying to lead you to repentance? 5 But according to your hardness and unrepentant heart you are storing up wrath for yourself on the day of wrath and of the revealing of God’s righteous judgment. 6 And he will render to each one according to his works: 7 everlasting life to those who are seeking glory and honor and incorruptibleness by endurance in work that is good; 8 however, for those who are contentious and who disobey the truth but obey unrighteousness there will be wrath and anger, 9 tribulation and distress, upon the soul of every man who works what is injurious, of the Jew first and also of the Greek; 10 but glory and honor and peace for everyone who works what is good, for the Jew first and also for the Greek. 11 For there is no partiality with God. Many who know their bibles and do bad have no excuse. There are those who do not know God’s laws and still obey them. So we cannot use the fact that they do not know God’s laws as a reason for treating someone bad. Neither can they use the excuse they did not know. The bible clearly shows we have been born with a conscience. (Romans 2:12-16) 12 For instance, all those who sinned without law will also perish without law; but all those who sinned under law will be judged by law. 13 For the hearers of law are not the ones righteous before God, but the doers of law will be declared righteous. 14 For whenever people of the nations that do not have law do by nature the things of the law, these people, although not having law, are a law to themselves. 15 They are the very ones who demonstrate the matter of the law to be written in their hearts, while their conscience is bearing witness with them and, between their own thoughts, they are being accused or even excused. 16 This will be in the day when God through Christ Jesus judges the secret things of mankind, according to the good news I declare..
Our actions show who’s wisdom we are relying on. We are told to imitate our heavenly father, in doing so we show we are guided by the him. (James 3:13-18) 13 Who is wise and understanding among YOU? Let him show out of his fine conduct his works with a mildness that belongs to wisdom. 14 But if YOU have bitter jealousy and contentiousness in YOUR hearts, do not be bragging and lying against the truth. 15 This is not the wisdom that comes down from above, but is [the] earthly, animal, demonic. 16 For where jealousy and contentiousness are, there disorder and every vile thing are. 17 But the wisdom from above is first of all chaste, then peaceable, reasonable, ready to obey, full of mercy and good fruits, not making partial distinctions, not hypocritical. 18 Moreover, the fruit of righteousness has its seed sown under peaceful conditions for those who are making peace. Jesus perfectly reflected his heavenly father. So if we imitate him we can bring God glory instead of smearing his good name as many have done. Doing this requires us to be no part of the world. So we must not imitate the worlds behavior. (John 17:4, 5) 4 I have glorified you on the earth, having finished the work you have given me to do. 5 So now you, Father, glorify me alongside yourself with the glory that I had alongside you before the world was. We must do to others what we would want them to do unto us. We all fall short if others sought revenge for all our errors how would we feel? Doesn’t it feel much better when you are forgiven? Those who do not repent or who take your forgiveness for granted will be dealt with soon. We cannot let their actions effect ours. (Matthew 7:12-14) 12 “All things, therefore, that YOU want men to do to YOU, YOU also must likewise do to them; this, in fact, is what the Law and the Prophets mean. 13 “Go in through the narrow gate; because broad and spacious is the road leading off into destruction, and many are the ones going in through it; 14 whereas narrow is the gate and cramped the road leading off into life, and few are the ones finding it. (Ephesians 4:31-5:2) 31Let all malicious bitterness and anger and wrath and screaming and abusive speech be taken away from YOU along with all badness. 32 But become kind to one another, tenderly compassionate, freely forgiving one another just as God also by Christ freely forgave YOU. 5 Therefore, become imitators of God, as beloved children, 2 and go on walking in love, just as the Christ also loved YOU and delivered himself up for YOU as an offering and a sacrifice to God for a sweet-smelling odor. We need to make sure that since God has not acted it means he is not seeing and fall into the trap of taking action ourselves and start developing a worldly attitude. When we are suffering evil we must keep in mind the example Jesus set. He did not strike out or seek revenge. His fine conduct drew many to our heavenly father. In showing humility and kindness we are showing our heavenly father what is in our hearts. (1 Peter 3:16-18) 16 Hold a good conscience, so that in the particular in which YOU are spoken against they may get ashamed who are speaking slightingly of YOUR good conduct in connection with Christ. 17 For it is better to suffer because YOU are doing good, if the will of God wishes it, than because YOU are doing evil. 18 Why, even Christ died once for all time concerning sins, a righteous [person] for unrighteous ones, that he might lead YOU to God. How could we avoid becoming like the world? We know we are in the last days. Salvation is very near so now is not the time to give in. We were warned that there would not be much love in the world. Even the love for the truth in God’s word would be uncommon. (Matthew 24:9-13) . 10 Then, also, many will be stumbled and will betray one another and will hate one another. 11 And many false prophets will arise and mislead many; 12 and because of the increasing of lawlessness the love of the greater number will cool off. 13 But he that has endured to the end is the one that will be saved. One thing that can help protect us is to make sure good things are what we speak and that the things that come out of our mouths produce good fruits. We do this by making certain that the things we say are things our heavenly father would approve of. We must do our best not to imitate the behavior of the pharisees who produced bad fruits. (Matthew 12:34-37) 34Offspring of vipers, how can YOU speak good things, when YOU are wicked? For out of the abundance of the heart the mouth speaks. 35 The good man out of his good treasure sends out good things, whereas the wicked man out of his wicked treasure sends out wicked things. 36 nI tell YOU that every unprofitable saying that men speak, they will render an account concerning it on Judgment Day; 37 for by your words you will be declared righteous, and by your words you will be condemned. (John 14:15) 15 “If YOU love me, YOU will observe my commandments. We have to keep in mind vengeance is Jehovah’s we cannot read their hearts and do not know their intentions or reasons they do the things they do. . We are all imperfect. (Romans 12:17-21) 17 Return evil for evil to no one. Provide fine things in the sight of all men. 18 If possible, as far as it depends upon YOU, be peaceable with all men. 19 Do not avenge yourselves, beloved, but yield place to the wrath; for it is written: “Vengeance is mine; I will repay, says Jehovah.” 20 But, “if your enemy is hungry, feed him; if he is thirsty, give him something to drink; for by doing this you will heap fiery coals upon his head.” 21 Do not let yourself be conquered by the evil, but keep conquering the evil with the good. We can help by teaching others about the heavenly kingdom and helping those in need. (Luke 9:10, 11) 10 And when the apostles returned they recounted to him what things they had done. With that he took them along and withdrew to privacy into a city called Beth·sa′i·da. 11 But the crowds, getting to know it, followed him. And he received them kindly and began to speak to them about the kingdom of God, and he healed those needing a cure. (Matthew 5:14-16) .15 People light a lamp and set it, not under the measuring basket, but upon the lampstand, and it shines upon all those in the house. 16 Likewise let YOUR light shine before men, that they may see YOUR fine works and give glory to YOUR Father who is in the heavens. Need to be as open minded to the truths in the bible as a child is. (Luke 18:15-17) 15 Now people began to bring him also their infants for him to touch these; but on seeing it the disciples began to reprimand them. 16 However, Jesus called the [infants] to him, saying: “Let the young children come to me, and do not try to stop them. For the kingdom of God belongs to suchlike ones. 17 Truly I say to YOU, Whoever does not receive the kingdom of God like a young child will by no means get into it. We need to appreciate what God has down for us and the ransom sacrifice that provided a way for us. We need to keep in mind many have come from the world an many more will come. Our behavior could draw them to God or push them away. (Ephesians 2:1-3) 2 Furthermore, [it is] YOU [God made alive] though YOU were dead in YOUR trespasses and sins, 2 in which YOU at one time walked according to the system of things of this world, according to the ruler of the authority of the air, the spirit that now operates in the sons of disobedience. 3 Yes, among them we all at one time conducted ourselves in harmony with the desires of our flesh, doing the things willed by the flesh and the thoughts, and we were naturally children of wrath even as the rest. The bible teaches us God is love. We need to let love guide all we do if we want to remain in his love. (1 John 4:16-19) . God is love, and he that remains in love remains in union with God and God remains in union with him. 17 This is how love has been made perfect with us, that we may have freeness of speech in the day of judgment, because, just as that one is, so are we ourselves in this world. 18 There is no fear in love, but perfect love throws fear outside, because fear exercises a restraint. Indeed, he that is under fear has not been made perfect in love. 19 As for us, we love, because he first loved us. (1 Corinthians 13:4-7) 4 Love is long-suffering and kind. Love is not jealous, it does not brag, does not get puffed up, 5 does not behave indecently, does not look for its own interests, does not become provoked. It does not keep account of the injury. 6 It does not rejoice over unrighteousness, but rejoices with the truth. 7 It bears all things, believes all things, hopes all things, endures all things. By letting love guide all we do it protects us. (Romans 13:8-10) 8 Do not YOU people be owing anybody a single thing, except to love one another; for he that loves his fellowman has fulfilled [the] law. 9 For the [law code], “You must not commit adultery, You must not murder, You must not steal, You must not covet,” and whatever other commandment there is, is summed up in this word, namely, “You must love your neighbor as yourself.” 10 Love does not work evil to one’s neighbor; therefore love is the law’s fulfillment. (1 Peter 4:7, 8) 7 But the end of all things has drawn close. Be sound in mind, therefore, and be vigilant with a view to prayers. 8 Above all things, have intense love for one another, because love covers a multitude of sins. We all are imperfect, if we were perfect we would not need the bible to guide us and Jesus would not of had to die for us. We need to learn we are sinners also and we all fall short at times. (Romans 3:21-26) 21 But now apart from law God’s righteousness has been made manifest, as it is borne witness to by the Law and the Prophets; 22 yes, God’s righteousness through the faith in Jesus Christ, for all those having faith. For there is no distinction. 23 For all have sinned and fall short of the glory of God, 24 and it is as a free gift that they are being declared righteous by his undeserved kindness through the release by the ransom [paid] by Christ Jesus. 25 God set him forth as an offering for propitiation through faith in his blood. This was in order to exhibit his own righteousness, because he was forgiving the sins that occurred in the past while God was exercising forbearance; 26 so as to exhibit his own righteousness in this present season, that he might be righteous even when declaring righteous the man that has faith in Jesus. (Ecclesiastes 7:21, 22) 21 Also, do not give your heart to all the words that people may speak, that you may not hear your servant calling down evil upon you. 22 For your own heart well knows even many times that you, even you, have called down evil upon others. Do not want to lose hope and start believing in ourselves, in doing this we may lose sight that there is a God who sees all we do. (Psalm 14:1) The senseless one has said in his heart: “There is no Jehovah.” They have acted ruinously, they have acted detestably in [their] dealing. There is no one doing good. (Proverbs 6:16-19) 16 There are six things that Jehovah does hate; yes, seven are things detestable to his soul: 17 lofty eyes, a false tongue, and hands that are shedding innocent blood, 18 a heart fabricating hurtful schemes, feet that are in a hurry to run to badness, 19 a false witness that launches forth lies, and anyone sending forth contentions among brothers. . .
(Jude 17-23) 17 As for YOU, beloved ones, call to mind the sayings that have been previously spoken by the apostles of our Lord Jesus Christ, 18 how they used to say to YOU: “In the last time there will be ridiculers, proceeding according to their own desires for ungodly things.” 19 These are the ones that make separations, animalistic [men], not having spirituality. 20 But YOU, beloved ones, by building up yourselves on YOUR most holy faith, and praying with holy spirit, 21 keep yourselves in God’s love, while YOU are waiting for the mercy of our Lord Jesus Christ with everlasting life in view. 22 Also, continue showing mercy to some that have doubts; 23 save [them] by snatching [them] out of the fire. But continue showing mercy to others, doing so with fear, while YOU hate even the inner garment that has been stained by the flesh. . .
We know very soon those who remain on the earth will be those who loves God and seeks his will. (Matthew 5:5) 5 “Happy are the mild-tempered ones, since they will inherit the earth. (Psalm 37:10, 11) 10 And just a little while longer, and the wicked one will be no more; And you will certainly give attention to his place, and he will not be. 11 But the meek ones themselves will possess the earth, And they will indeed find their exquisite delight in the abundance of peace. . . Written by Lee Stevenson. Sorry I am not very good at editing. Antichrist means “against or other then Christ” . It is mentioned 5 times. Some things that oppose what Jesus taught are subtle so we could be participating false worship without even knowing it. Ba’al whorship was very similar to how Israel worshiped. So much so that many Israelites fell into false worship. So it will not be obvious at times who the antichrist is. Something I cover at the end of the post is how removing God’s name and replacing it with the word Lord is opposing what Jesus taught. (1 John 2:18, 19) 18 Young children, it is the last hour, and, just as YOU have heard that antichrist is coming, even now there have come to be many antichrists; from which fact we gain the knowledge that it is the last hour. 19 They went out from us, but they were not of our sort; for if they had been of our sort, they would have remained with us. But [they went out] that it might be shown up that not all are of our sort. (2 John 6, 7) . This is the commandment, just as YOU people have heard from [the] beginning, that YOU should go on walking in it. 7 For many deceivers have gone forth into the world, persons not confessing Jesus Christ as coming in the flesh. This is the deceiver and the antichrist. We know the antichrist was already in the world and would continue in the world for a time. The antichrist do not confess Jesus came in the flesh. (1 John 4:2, 3) 2 YOU gain the knowledge of the inspired expression from God by this: Every inspired expression that confesses Jesus Christ as having come in the flesh originates with God, 3 but every inspired expression that does not confess Jesus does not originate with God. Furthermore, this is the antichrist’s [inspired expression] which YOU have heard was coming, and now it is already in the world. We are warned there will be false Christ who will mislead many. (Matthew 24:23-27) 23 “Then if anyone says to YOU, ‘Look! Here is the Christ,’ or, ‘There!’ do not believe it. 24 For false Christs and false prophets will arise and will give great signs and wonders so as to mislead, if possible, even the chosen ones. 25 Look! I have forewarned YOU. 26Therefore, if people say to YOU, ‘Look! He is in the wilderness,’ do not go out; ‘Look! He is in the inner chambers,’ do not believe it. 27 For just as the lightning comes out of eastern parts and shines over to western parts, so the presence of the Son of man will be. So we have established that the antichrist is anyone who opposes Christ is the antichrist. We also know that the antichrist has existed from the time Jesus was on earth because it is anyone who opposes Christ. So those who oppose his teachings or those who do not worship in truth are opposing Christ. Anything done to those who worship in truth is done against Christ so would be part of the antichrist. (Matthew 25:38-40) .When did we see you a stranger and receive you hospitably, or naked, and clothe you? 39When did we see you sick or in prison and go to you?’ 40 And in reply the king will say to them, ‘Truly I say to YOU, To the extent that YOU did it to one of the least of these my brothers, YOU did it to me. The apostle Paul persecuted those who worshiped in truth. Jesus confronted him and told him that and ask why he was persecuting him. So for a while Paul was in opposition to Christ until Jesus set him straight. Jesus took persecution of his people personal which show you how close he is to those worshiping in truth. Acts 9:3-5.Now as he was traveling he approached Damascus, when suddenly a light from heaven flashed around him, 4 and he fell to the ground and heard a voice say to him: “Saul, Saul, why are you persecuting me?” 5 He said: “Who are you, Lord?” He said: “I am Jesus, whom you are persecuting. Many know that Babylon the Great represents false religion. So any worship that is against what Jesus taught would be a part of the antichrist, that would be include Babylon the Great. (Revelation 17:5, 6) .And upon her forehead was written a name, a mystery: “Babylon the Great, the mother of the harlots and of the disgusting things of the earth.” 6 And I saw that the woman was drunk with the blood of the holy ones and with the blood of the witnesses of Jesus. We know an apostasy would arise for a time and exert a lot of influence over man. When the false worship is expose it is a sign that God’s great day is near. 2 Thessalonians 2:3, 4 Let no one seduce YOU in any manner, because it will not come unless the apostasy comes first and the man of lawlessness gets revealed, the son of destruction. 4 He is set in opposition and lifts himself up over everyone who is called “god” or an object of reverence, so that he sits down in the temple of The God. Political entities that oppose Christ are part of the antichrist. (Revelation 17:8-14) 8 The wild beast that you saw was, but is not, and yet is about to ascend out of the abyss, and it is to go off into destruction. And when they see how the wild beast was, but is not, and yet will be present, those who dwell on the earth will wonder admiringly, but their names have not been written upon the scroll of life from the founding of the world. 9 “Here is where the intelligence that has wisdom comes in: The seven heads mean seven mountains, where the woman sits on top. 10 And there are seven kings: five have fallen, one is, the other has not yet arrived, but when he does arrive he must remain a short while. 11 And the wild beast that was but is not, it is also itself an eighth [king], but springs from the seven, and it goes off into destruction. 12 “And the ten horns that you saw mean ten kings, who have not yet received a kingdom, but they do receive authority as kings one hour with the wild beast. 13 These have one thought, and so they give their power and authority to the wild beast. 14 These will battle with the Lamb, but, because he is Lord of lords and King of kings, the Lamb will conquer them. Also, those called and chosen and faithful with him [will do so]. One of the biggest teaching I see that is a denial of Christ is when they claim he is God. The bible clearly shows they are not one and the same it clearly shows Jesus is God’s son. It even tells us he is the first born of all creation and calls him the only begotten son, so he is the only one created directly by God. This lie has led to many being deceived. (John 3:16) 16 “For God loved the world so much that he gave his only-begotten Son, in order that everyone exercising faith in him might not be destroyed but have everlasting life. (1 John 2:22, 23) ..Who is the liar if it is not the one that denies that Jesus is the Christ? This is the antichrist, the one that denies the Father and the Son. 23 Everyone that denies the Son does not have the Father either. He that confesses the Son has the Father also. Jesus even talks about his creation in Proverbs. (Proverbs 8:22-31) 22 “Jehovah himself produced me as the beginning of his way, the earliest of his achievements of long ago. 23 From time indefinite I was installed, from the start, from times earlier than the earth. 24 When there were no watery deeps I was brought forth as with labor pains, when there were no springs heavily charged with water. 25 Before the mountains themselves had been settled down, ahead of the hills, I was brought forth as with labor pains, 26 when as yet he had not made the earth and the open spaces and the first part of the dust masses of the productive land. 27 When he prepared the heavens I was there; when he decreed a circle upon the face of the watery deep, 28 when he made firm the cloud masses above, when he caused the fountains of the watery deep to be strong, 29 when he set for the sea his decree that the waters themselves should not pass beyond his order, when he decreed the foundations of the earth, 30 then I came to be beside him as a master worker, and I came to be the one he was specially fond of day by day, I being glad before him all the time, 31 being glad at the productive land of his earth, and the things I was fond of were with the sons of men. The bible even speaks of God and Jesus being side by side during the creation of things. (John 17:5) So now you, Father, glorify me alongside yourself with the glory that I had alongside you before the world was. Jesus never equated himself to God. He even said he was doing his fathers will and not his own. If he was God he would say he was doing his own will would he not? (John 14:27, 28) . 28 YOU heard that I said to YOU, I am going away and I am coming [back] to YOU. If YOU loved me, YOU would rejoice that I am going my way to the Father, because the Father is greater than I am. (John 6:37-40) 37 Everything the Father gives me will come to me, and the one that comes to me I will by no means drive away; 38because I have come down from heaven to do, not my will, but the will of him that sent me. 39 This is the will of him that sent me, that I should lose nothing out of all that he has given me but that I should resurrect it at the last day. 40 For this is the will of my Father, that everyone that beholds the Son and exercises faith in him should have everlasting life, and I will resurrect him at the last day. He even stated what he beholds his father doing he does, showing he learned from his father. He frequently made a clear distinction between him and his father. (John 5:19) 19 Therefore, in answer, Jesus went on to say to them: “Most truly I say to YOU, The Son cannot do a single thing of his own initiative, but only what he beholds the Father doing. For whatever things that One does, these things the Son also does in like manner. (Mark 10:18 Jesus said to him: “Why do you call me good? Nobody is good, except one, God. Jesus has been with God a very long time and had a long time to learn from him so could perfectly reflect his father. We know Jesus has existed a very long time the scriptures tell us that. (Micah 5:2 “And you, O Beth′le·hem Eph′ra·thah, the one too little to get to be among the thousands of Judah, from you there will come out to me the one who is to become ruler in Israel, whose origin is from early times, from the days of time indefinite. Even though God gave Jesus a lot of power and authority he remained humble and did not leave it go to his head, He remained humble and showed his obedience to God and did not get over confident and put himself at an equal level with God. (Philippians 2:5-8) .Keep this mental attitude in YOU that was also in Christ Jesus, 6 who, although he was existing in God’s form, gave no consideration to a seizure, namely, that he should be equal to God. 7 No, but he emptied himself and took a slave’s form and came to be in the likeness of men. 8 More than that, when he found himself in fashion as a man, he humbled himself and became obedient as far as death, yes, death on a torture stake. The bible clearly tells us that God is over Christ. Amen means so be it. It is an agreement or a contract. Jesus can rightfully be called the Amen because he fulfilled the promises God had made. (2 Corinthians 1:19, 20) 19 For the Son of God, Christ Jesus, who was preached among YOU through us, that is, through me and Sil·va′nus and Timothy, did not become Yes and yet No, but Yes has become Yes in his case. 20 For no matter how many the promises of God are, they have become Yes by means of him. Therefore also through him is the “Amen” [said] to God for glory through us. We know Jesus is our king and the bible says he sits on the throne at God’s right hand. Once Jesus has fulfilled all the things given to him by the father to do he will hand the throne back over to God. He also tells us he will be in subjection to the one who subjected all things to him. One of the signs of the fulfillment of this is when death has come to an end. (1 Corinthians 15:24-28) . Next, the end, when he hands over the kingdom to his God and Father, when he has brought to nothing all government and all authority and power. 25 For he must rule as king until [God] has put all enemies under his feet. 26 As the last enemy, death is to be brought to nothing. 27 For [God] “subjected all things under his feet.” But when he says that ‘all things have been subjected,’ it is evident that it is with the exception of the one who subjected all things to him. 28 But when all things will have been subjected to him, then the Son himself will also subject himself to the One who subjected all things to him, that God may be all things to everyone. Many try using this scripture out of context claiming Jesus equates himself to God. This is were knowing your bible will keep you from being deceived because with a little research you will come to see that it is a oneness of spirit and worship and a oneness of mind. John 17:20-23 “I make request, not concerning these only, but also concerning those putting faith in me through their word; 21 in order that they may all be one, just as you, Father, are in union with me and I am in union with you, that they also may be in union with us, in order that the world may believe that you sent me forth. 22 Also, I have given them the glory that you have given me, in order that they may be one just as we are one. 23 I in union with them and you in union with me, in order that they may be perfected into one, that the world may have the knowledge that you sent me forth and that you loved them just as you loved me. Oneness of spirit so just as Jesus worshiped in spirit so would those following him. This would result in a oneness of mind. (Ephesians 4:1-6) 4 I, therefore, the prisoner in [the] Lord, entreat YOU to walk worthily of the calling with which YOU were called, 2 with complete lowliness of mind and mildness, with long-suffering, putting up with one another in love, 3 earnestly endeavoring to observe the oneness of the spirit in the uniting bond of peace. 4 One body there is, and one spirit, even as YOU were called in the one hope to which YOU were called; 5 one Lord, one faith, one baptism; 6 one God and Father of all [persons], who is over all and through all and in all. 2 Corinthians 13:11 Finally, brothers, continue to rejoice, to be readjusted, to be comforted, to think in agreement, to live peaceably; and the God of love and of peace will be with YOU. John 10:29, 30) . 30 I and the Father are one. John 10:38 But if I am doing them, even though YOU do not believe me, believe the works, in order that YOU may come to know and may continue knowing that the Father is in union with me and I am in union with the Father. 1 John 3:24 Moreover, he who observes his commandments remains in union with him, and he in union with such one; and by this we gain the knowledge that he is remaining in union with us, owing to the spirit which he gave us. Many confuse symbols with idols. They believe it is okay to use symbols in their worship but when that item becomes a part of their worship it becomes an idol. This happened to Israel when they had made a symbol and then they started to worship the symbol instead of God. Even though God clearly told them not to use images in their worship. (Exodus 20:4, 5) 4“You must not make for yourself a carved image or a form like anything that is in the heavens above or that is on the earth underneath or that is in the waters under the earth. 5 You must not bow down to them nor be induced to serve them, because I Jehovah your God am a God exacting exclusive devotion, bringing punishment for the error of fathers upon sons, upon the third generation and upon the fourth generation, in the case of those who hate me. Acts 17:29 “Seeing, therefore, that we are the progeny of God, we ought not to imagine that the Divine Being is like gold or silver or stone, like something sculptured by the art and contrivance of man. John 4:23, 24 God is a Spirit, and those worshiping him must worship with spirit and truth. (1 Corinthians 2:14-16) 14 But a physical man does not receive the things of the spirit of God, for they are foolishness to him; and he cannot get to know [them], because they are examined spiritually. 15 However, the spiritual man examines indeed all things, but he himself is not examined by any man. 16 For “who has come to know the mind of Jehovah, that he may instruct him?” But we do have the mind of Christ. Many will go to fortune tellers and other type of false prophets. God does not approve of this. (2 Kings 23:24) 24And also the spirit mediums and the professional foretellers of events and the teraphim and the dungy idols and all the disgusting things that had appeared in the land of Judah and in Jerusalem Jo·si′ah cleared out, in order that he might actually carry out the words of the law that were written in the book that Hil·ki′ah the priest had found at the house of Jehovah. We are not only supposed to guard ourselves against idols we are to flee from them. 1 Corinthians 10:14 Therefore, my beloved ones, flee from idolatry. Those who profit from the making and sales of idols will not take it lightly. They will become inflamed with anger. (Acts 19:23-28) 23 At that particular time there arose no little disturbance concerning The Way. 24 For a certain man named De·me′tri·us, a silversmith, by making silver shrines of Ar′te·mis furnished the craftsmen no little gain; 25 and he gathered them and those who worked at such things and said: “Men, YOU well know that from this business we have our prosperity. 26 Also, YOU behold and hear how not only in Eph′e·sus but in nearly all the [district of] Asia this Paul has persuaded a considerable crowd and turned them to another opinion, saying that the ones that are made by hands are not gods. 27 Moreover, the danger exists not only that this occupation of ours will come into disrepute but also that the temple of the great goddess Ar′te·mis will be esteemed as nothing and even her magnificence which the whole [district of] Asia and the inhabited earth worships is about to be brought down to nothing.” 28 Hearing this and becoming full of anger, the men began crying out, saying: “Great is Ar′te·mis of the E·phe′sians!. (Acts 16:16-24) 16 And it happened that as we were going to the place of prayer, a certain servant girl with a spirit, a demon of divination, met us. She used to furnish her masters with much gain by practicing the art of prediction. 17 This [girl] kept following Paul and us and crying out with the words: “These men are slaves of the Most High God, who are publishing to YOU the way of salvation.” 18 This she kept doing for many days. Finally Paul got tired of it and turned and said to the spirit: “I order you in the name of Jesus Christ to come out of her.” And it came out that very hour. 19 Well, when her masters saw that their hope of gain had left, they laid hold of Paul and Silas and dragged them into the marketplace to the rulers, 20 and, leading them up to the civil magistrates, they said: “These men are disturbing our city very much, they being Jews, 21 and they are publishing customs that it is not lawful for us to take up or practice, seeing we are Romans.”22 And the crowd rose up together against them; and the civil magistrates, after tearing the outer garments off them, gave the command to beat them with rods.23 After they had inflicted many blows upon them, they threw them into prison, ordering the jailer to keep them securely. 24 Because he got such an order, he threw them into the inner prison and made their feet fast in the stocks. We will also see the fruits of those not worshiping in truth. You can also read more about this in 2Timothy 3:1-8. It mentions those who would not put up with healthful teachings and what the results would be. Notice sects is mentioned so they would gather teachers to teach them what they want to hear and not what they need to which will result in many forms of worship and just as in the days of the Ba’al worshipers we must know our bibles very well so we cannot be deceived. (Galatians 5:19-21) 19 Now the works of the flesh are manifest, and they are fornication, uncleanness, loose conduct, 20 idolatry, practice of spiritism, enmities, strife, jealousy, fits of anger, contentions, divisions, sects, 21 envies, drunken bouts, revelries, and things like these. As to these things I am forewarning YOU, the same way as I did forewarn YOU, that those who practice such things will not inherit God’s kingdom. There are forms of idolatry that are not as obvious as using images in worship. Practicing bad things can be a form of idolatry. (Ephesians 5:3-5) 3 Let fornication and uncleanness of every sort or greediness not even be mentioned among YOU, just as it befits holy people; 4 neither shameful conduct nor foolish talking nor obscene jesting, things which are not becoming, but rather the giving of thanks. 5 For YOU know this, recognizing it for yourselves, that no fornicator or unclean person or greedy person—which means being an idolater—has any inheritance in the kingdom of the Christ and of God. (Colossians 3:5) 5 Deaden, therefore, YOUR body members that are upon the earth as respects fornication, uncleanness, sexual appetite, hurtful desire, and covetousness, which is idolatry. Again those who do not get involved in the badness of the world will be viewed as crazy and looked down on. 1 Peter 4:1-5 Therefore since Christ suffered in the flesh, YOU too arm yourselves with the same mental disposition; because the person that has suffered in the flesh has desisted from sins, 2 to the end that he may live the remainder of [his] time in the flesh, no more for the desires of men, but for God’s will. 3 For the time that has passed by is sufficient for YOU to have worked out the will of the nations when YOU proceeded in deeds of loose conduct, lusts, excesses with wine, revelries, drinking matches, and illegal idolatries. 4 Because YOU do not continue running with them in this course to the same low sink of debauchery, they are puzzled and go on speaking abusively of YOU. 5 But these people will render an account to the one ready to judge those living and those dead. Romans 5:1-5 Therefore, now that we have been declared righteous as a result of faith, let us enjoy peace with God through our Lord Jesus Christ, 2 through whom also we have gained our approach by faith into this undeserved kindness in which we now stand; and let us exult, based on hope of the glory of God. 3 And not only that, but let us exult while in tribulations, since we know that tribulation produces endurance; 4 endurance, in turn, an approved condition; the approved condition, in turn, hope, 5 and the hope does not lead to disappointment; because the love of God has been poured out into our hearts through the holy spirit, which was given us. We are only to bow down to God. We are not to worship anyone but God. I have seem some pray to angels and people who have died. Worshiping those who have died is spiritism. In the past God’s people had made these mistakes and were corrected. Since God created all things through Jesus and including Jesus this means worship should be exclusively to God and through Jesus as our mediator and king. (Colossians 1:13-16) 13 He delivered us from the authority of the darkness and transferred us into the kingdom of the Son of his love, 14 by means of whom we have our release by ransom, the forgiveness of our sins. 15 He is the image of the invisible God, the firstborn of all creation; 16 because by means of him all [other] things were created in the heavens and upon the earth, the things visible and the things invisible, no matter whether they are thrones or lordships or governments or authorities. All [other] things have been created through him and for him. So we should not bow down to his creation but to Jehovah God the one true God. Revelation 22:8, 9Well, I John was the one hearing and seeing these things. And when I had heard and seen, I fell down to worship before the feet of the angel that had been showing me these things. 9 But he tells me: “Be careful! Do not do that! All I am is a fellow slave of you and of your brothers who are prophets and of those who are observing the words of this scroll. Worship God. (Acts 10:25, 26) .As Peter entered, Cornelius met him, fell down at his feet and did obeisance to him. 26 But Peter lifted him up, saying: “Rise; I myself am also a man. Worship of anyone other then the one true God could lead us into a very sinful state. (Romans 1:24, 25) 24 Therefore God, in keeping with the desires of their hearts, gave them up to uncleanness, that their bodies might be dishonored among them, 25 even those who exchanged the truth of God for the lie and venerated and rendered sacred service to the creation rather than the One who created, who is blessed forever. Amen. Putting earthly things before God’s will can be a form of coveting which is a form of idolatry. Eve was the first to commit this form of idolatry. Excessive lust , desire and greed which we know are considered idolatry by God are forms of covetousness. (Genesis 3:6Consequently the woman saw that the tree was good for food and that it was something to be longed for to the eyes, yes, the tree was desirable to look upon. So she began taking of its fruit and eating it. Afterward she gave some also to her husband when with her and he began eating it. Bowing down and giving honor to an image of a government can be a form of idolism. Daniel refused to bow down to the image to give honor that belonged to God to a human king. Daniel 3:6 And whoever does not fall down and worship will at the same moment be thrown into the burning fiery furnace.” 7 Because of this, at the same time as all the peoples were hearing the sound of the horn, the pipe, the zither, the triangular harp, the stringed instrument and all sorts of musical instruments, all the peoples, national groups and languages were falling down [and] worshiping the image of gold that Neb·u·chad·nez′zar the king had set up. The apostles had become deeply distressed when people had tried to bow down and worship them. (Acts 14:8-17) 8 Now in Lys′tra there was sitting a certain man disabled in his feet, lame from his mother’s womb, and he had never walked at all. 9 This man was listening to Paul speak, who, on looking at him intently and seeing he had faith to be made well, 10 said with a loud voice: “Stand up erect on your feet.” And he leaped up and began walking. 11 And the crowds, seeing what Paul had done, raised their voices, saying in the Lyc·a·o′ni·an tongue: “The gods have become like humans and have come down to us!” 12 And they went calling Bar′na·bas Zeus, but Paul Her′mes, since he was the one taking the lead in speaking. 13 And the priest of Zeus, whose [temple] was before the city, brought bulls and garlands to the gates and was desiring to offer sacrifices with the crowds. 14 However, when the apostles Bar′na·bas and Paul heard of it, they ripped their outer garments and leaped out into the crowd, crying out 1 and saying: “Men, why are YOU doing these things? We also are humans having the same infirmities as YOU do, and are declaring the good news to YOU, for YOU to turn from these vain things to the living God, who made the heaven and the earth and the sea and all the things in them. 16 In the past generations he permitted all the nations to go on in their ways, 17 although, indeed, he did not leave himself without witness in that he did good, giving YOU rains from heaven and fruitful seasons, filling YOUR hearts to the full with food and good cheer. So there is one true God Jehovah and one mediator for mankind Christ Jesus. (1 Timothy 2:5, 6) ..For there is one God, and one mediator between God and men, a man, Christ Jesus, 6 who gave himself a corresponding ransom for all. (1 Corinthians 8:5, 6) .For even though there are those who are called “gods,” whether in heaven or on earth, just as there are many “gods” and many “lords,” 6 there is actually to us one God the Father, out of whom all things are, and we for him; and there is one Lord, Jesus Christ, through whom all things are, and we through him. Idolaters will be among those destroyed. Revelation 21:8 But as for the cowards and those without faith and those who are disgusting in their filth and murderers and fornicators and those practicing spiritism and idolaters and all the liars, their portion will be in the lake that burns with fire and sulphur. This means the second death. We know the time for the end of those not worshiping in truth and causing all the bad is coming very soon. Jesus does not know when our heavenly father Jehovah will give the command but he does know the signs and he has give those to us and many of them have been fulfilled so we know his father will give him the command very soon. (Matthew 24:36-39) 36 “Concerning that day and hour nobody knows, neither the angels of the heavens nor the Son, but only the Father. 37 For just as the days of Noah were, so the presence of the Son of man will be. 38 For as they were in those days before the flood, eating and drinking, men marrying and women being given in marriage, until the day that Noah entered into the ark; 39 and they took no note until the flood came and swept them all away, so the presence of the Son of man will be. As you can see the antichrist is anyone who is not teaching things that are in agreement with our heavenly father Jehovah and his only begotten son Jesus Christ. God’s name has been removed from the bible. Some bibles his name can still be found in Psalm 83:18. God’s name originally appeared in the bible around 6,800 times showing he wanted people to know his name and to use it. Many know God’s name now because of Jehovah’s Witnesses going door to door following Jesus example in making God’s name known and sanctifying it. (Matthew 6:9) 9 “You must pray, then, this way: “‘Our Father in the heavens, let your name be sanctified. Jesus even said it would help us to be in union with he and his father. (John 17:26) 26 I have made your name known to them and will make it known, so that the love with which you loved me may be in them and I in union with them. . .
Jehovah will always be his name and is the name we are to remember him by forever it will not change. He is the one true God there are no others besides him. (Exodus 3:15) . . .“This is what you are to say to the Israelites, ‘Jehovah the God of your forefathers, the God of Abraham, the God of Isaac, and the God of Jacob, has sent me to you.’ This is my name forever, and this is how I am to be remembered from generation to generation. Some reasons for the removal of God’s name from the bible was superstition. Many felt that saying God’s name could bring a curse on you which is not what Jesus and the apostles taught. Removing God’s name made it difficult to distinguish between Jehovah and Jesus. It blurred the line between them making them appear to be one and the same even though Jesus never equaled himself to God and often times made that clear that the father was greater then he and that he was also created by God. It is why he is the first born of all creation. I have posted on that clarifying why Jesus is called the only begotten son. Some will try to debate on the spelling for example some debate that it should be spelled Yahwey others Yahovah. The most important part is the meaning of the name. It means one who brings about or causes to happen. Even the worlds top scholars on the bible have debated this fact. 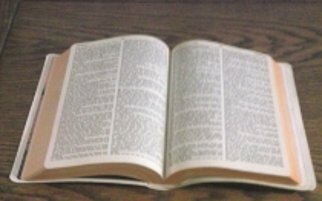 They claim that Jehovah is not the proper way to say God’s name and use that for an excuse for removing it from the bible. If that is the case they are uncertain how many names are supposed to be pronounced in the bible including Jesus name so why did they not remove those from the bible? Even the names of locations they are uncertain how they are pronounced. So should those also be removed? What convinces me it is Jehovah is because it is the most contested interpretation. Why would Satan and his people fight harder to contest that interpretation the most? Who do you think inspired such a thing? Satan and Devil are terms they are not names but terms to describe the qualities of the Devils when he disobeyed God and became the rebeller. He desires to be worshiped like God. If he has God’s name removed from the bible he could more easily trick people into doing acts of worship to him. Demons fear God so they definitely do not want to hear his name mentioned. (James 2:18, 19) . . .” 19 You believe that there is one God, do you? You are doing quite well. And yet the demons believe and shudder. . .
(1 Timothy 2:5, 6) 5 For there is one God, and one mediator between God and men, a man, Christ Jesus, 6 who gave himself a corresponding ransom for all. . .
A similar situation is the Baal worshipers in the bible. Their main deity was a fish god and a sun good, but they had hundreds of gods so they used the word Baal witch meant lord to cover all their false deities. There is only one true God and his name appeared thousands of times in the original biblical text. Though not as often in the Greek text which many call the new testament. The bible makes a clear distinction between Jesus and the Jehovah. In many bibles because they have removed God’s name it appears he is talking to himself for example in Psalms 110:1 Jehovah is talking to Jesus but it seems he is talking to himself. King James Version with Jehovah’s name removed. Psalm 110:1The Lord said unto my Lord, Sit thou at my right hand, until I make thine enemies thy footstool. Jesus quoted this very text but when God’s name is where it belongs it becomes clear that Jehovah is talking about and to Jesus. (Matthew 22:41-45) 41 Now while the Pharisees were gathered together, Jesus asked them: 42 “What do you think about the Christ? Whose son is he?” They said to him: “David’s.” 43 He asked them: “How is it, then, that David under inspiration calls him Lord, saying, 44 ‘Jehovah said to my Lord: “Sit at my right hand until I put your enemies beneath your feet”’? 45 If, then, David calls him Lord, how is he his son?. . . It clearly states that Jesus will be handed the Kingdom but is in a submissive position to God. He also died and God cannot die. If Jesus was God and he died then who would there be to resurrect him? Jesus clearly taught he and his father were in union of thought but never claimed to be God and always acknowledge he was not God. If Jesus was God why would he have to hand the Kingdom back to God. He would have no reason to if he was God. (1 Corinthians 15:20-28) 20 But now Christ has been raised from the dead, the firstfruits of those who have fallen asleep in death. 21 For since death came through a man, resurrection of the dead also comes through a man. 22 For just as in Adam all are dying, so also in the Christ all will be made alive. 23 But each one in his own proper order: Christ the firstfruits, afterward those who belong to the Christ during his presence. 24 Next, the end, when he hands over the Kingdom to his God and Father, when he has brought to nothing all government and all authority and power. 25 For he must rule as king until God has put all enemies under his feet. 26 And the last enemy, death, is to be brought to nothing. 27 For God “subjected all things under his feet.” But when he says that ‘all things have been subjected,’ it is evident that this does not include the One who subjected all things to him. 28 But when all things will have been subjected to him, then the Son himself will also subject himself to the One who subjected all things to him, that God may be all things to everyone. Even though there are many gods, there is only one true God Jehovah. (1 Corinthians 8:4-6) 4 Now concerning the eating of food offered to idols, we know that an idol is nothing in the world and that there is no God but one. 5 For even though there are so-called gods, whether in heaven or on earth, just as there are many “gods” and many “lords,” 6 there is actually to us one God, the Father, from whom all things are and we for him. . . If you want to learn more there is much better information at www.jw.org and it is is put together much better then I can do. Many call Jesus God and claim he is God but the bible clearly tells us we are to confess he is God’s son it does not tell us he is God. Jesus himself did not equate himself with God. (1 John 4:14-16) 14 In addition, we ourselves have seen and are bearing witness that the Father has sent his Son as savior of the world. 15 Whoever acknowledges that Jesus is God’s Son, God remains in union with such one and he in union with God. 16 And we have come to know and believe the love that God has for us. . .
By not acknowledging Jesus is the son and equating him with God we are teaching something different then what the bible tells us to do. It clearly makes a distinction between the father and the son. Teaching something other then what Christ taught is going against Christ. (1 John 2:22-24) 22 Who is the liar but the one who denies that Jesus is the Christ? This is the antichrist, the one who denies the Father and the Son. 23 Everyone who denies the Son does not have the Father either. But whoever acknowledges the Son has the Father also. 24 As for you, what you have heard from the beginning must remain in you. If what you have heard from the beginning remains in you, you will also remain in union with the Son and in union with the Father. (Matthew 10:32) 32 “Everyone, then, who acknowledges me before men, I will also acknowledge him before my Father who is in the heavens. . . I have posted on Jesus being the only begotten son and why he is the only begotten. Why use God’s name Jehovah? It is respectful to use someone’s name when you are addressing them. If you were a plumber would you like if your name was never used but you were just called the plumber. Your name encompasses the whole person that you represent. If someone just called you by your occupation then that would be the only characteristic that they would know. If someone said my friend is the seamstress then people would only know that aspect of the person. Now if they say they are a seamstress name Sue the picture starts getting clearer. Now it is narrowed down to a seamstress named Sue. Now God’s name Jehovah is unique. There are many false Gods but only one true God. How do you identify the true God? By his unique name. I have done a lot of research on the meaning of his name and one word cannot describe the meaning. I do not profess to be a scholar on any of this, but I have read many articles and books and from my research I am convinced that Jehovah is his name. From what I have gathered his name covers his oneness, his eternal existence and his ability to become what is needed by the ones he loves. There are many terms used to describe qualities of God and a lot of people confuse the terms with names. These terms don’t get the whole picture of who he is. That is why you should use his name and not a term like Shiloh…etc. His name occurred thousands of times in the original writings. Most Bibles have removed his name and replaced it with titles. Below is a list of bibles that still contain his name in them. Living Bible it appears 408 times. Not only is Jehovah one God. (Deuteronomy 6:4, Isaiah 45:6)) , we are to tell others his name. Exodus (9:16, John 17:6) . Hebrews 13:15 says we are to offer a sacrifice of praise, and to make public declaration of his name. Malachi 3:17 tells us those in fear of his name will be written in the book of remembrance. Proverbs 18:10 shows that knowing his name can protect you. Gods people were known by his name. (2 Chronicles 7:14, Deuteronomy 28:9,10). When God rebuilds the booth of David it refers to the nations upon who his name has been called. (Amos 9:11,12) . And in Acts 15:14 it states God turned his attention to the nations to take out of them a people for his name. We Are To Make His Name Know. What convinces me the most that Jehovah is God’s name is that it is the most contested truth that people challenge. Why would Satan and his people work so hard to convince people that it is not God’s name if it wasn’t. If you were worshipping falsely do you think it would be contested? Satan would be promoting it not trying to stop people from using it because if you worship a false God you are worshipping Satan. He does not want you to know the one and only true God Jehovah. If you need to know more go to http://wol.jw.org they have a wonderful online library that you can search. Try searching for (God’s name) you will pull very interesting information up.